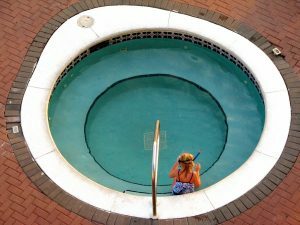 In a recent case out of Pinellas County, the Tampa Bay Times reports a man was awarded $7.5 million in a South Florida personal injury lawsuit verdict stemming from a fall inside a hot tub at a resort where the spa was partially drained and unlit back in 2008. It’s being deemed one of the largest injury verdicts ever in that county’s civil court. According to news reports, the man suffered permanent back and neck injuries after the fall. Plaintiff attorneys reported he had been using the hot tub that afternoon, and then returned to his condo for several hours. He then came back to the hot tub that evening. It was dark by then, and the hot tub was not lit, which meant he could not see that the hot tub was only about half full from its normal capacity. There was no posted warning about this. As he stepped in, he was expecting to step into water. When he encountered a degree of gravity he didn’t expect, he lost his balance and fell, injuring himself. Attorneys for the plaintiff argued both the resort and its management company were negligent in their failure to provide adequate lighting in and near the hot tub and also for not roping off the entrance to the hot tub or posting some kind of warning for unsuspecting patrons. Plaintiff underwent numerous subsequent back and shoulder surgeries, which limited his ability to continue working as a boat builder. At a trial last year, jurors determined both the resort and the condos were equally at-fault, so they would each be liable to pay 50 percent of the damages. The plaintiff did not share any comparative fault, per the jury’s finding. This most recent trial was solely to determine the amount of damages. They deliberated for 11 hours before reaching the $7.5 million figure, which covers both medical expenses and lost wages. Insurers for the two business entities do still have the option to appeal, but it’s not clear if they will. There are a number of standards by which hot tub/ spa manufacturers, property owners and maintenance workers must abide in the design, manufacture, distribution and maintenance of these popular features. These range from basic requirements for drainage/ drain covers to avoid hair entanglements to control of maximum temperatures to security barriers to chemical disinfectants. Clear warnings should be posted in and around the area so that users are fully aware of certain risks, and proper lighting helps ensure dangers will be illuminated. If you are injured in a Florida swimming pool or hot tub accident, our South Florida injury attorneys can help you determine if you have grounds to pursue compensation.